This sidebar originally appeared in the November 2017 issue of JazzTimes, supplementing an article about Matt Wilson’s Honey and Salt project featuring the poetry of Carl Sandburg. 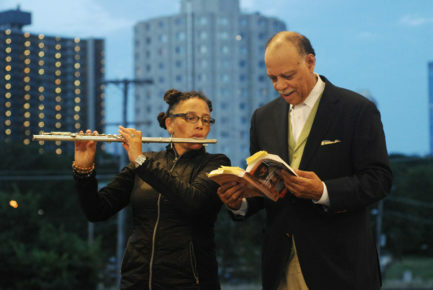 With a string-dominated ensemble featuring cellist Tomeka Reid, the flutist, composer and Afrofuturist explorer Nicole Mitchell creates an extraordinarily rich array of settings for Chicago’s Haki Madhubuti (formerly Don L. Lee) to recite his politically charged verse. 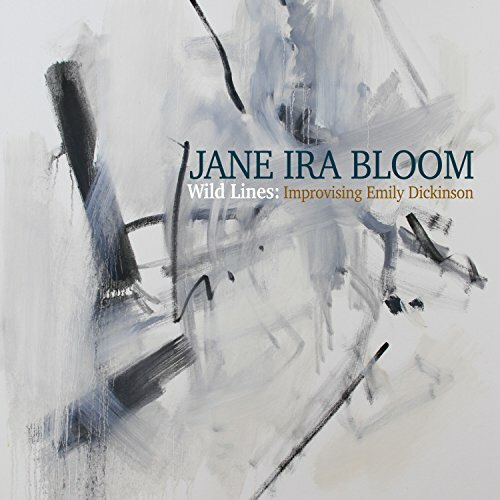 A wondrous two-disc set with twinned tracks featuring gorgeous instrumentals on the first and wry, spare recitation of Dickinson’s work by actress Deborah Rush on the second, Wild Lines unleashes the lavish lyricism of Bloom’s quartet with pianist Dawn Clement, bassist Mark Helias and drummer Bobby Previte. Serendipitous ties abound on this project, which brings together pianist David Amram, who helped create jazz-poetry performance in the 1950s, with Charles Mingus’ son Eric Mingus, who recites the poetry of Langston Hughes, a frequent collaborator to jazz musicians. Directed by guitarist Larry Simon, the settings range from solo piano to dectet, underlining Hughes’ powerful, unblinking vision of America and abiding affection for the soul and resilience of his people. A singular collaboration between the late Pulitzer Prize-winning poet Philip Levine and Fresno saxophonist-composer Benjamin Boone, this album features the jazz-loving U.S. Poet Laureate delivering his verse with rhythmic panache in the studio, essentially blowing with the musicians (including such special guests as Greg Osby, Tom Harrell and Chris Potter, who were recorded later).